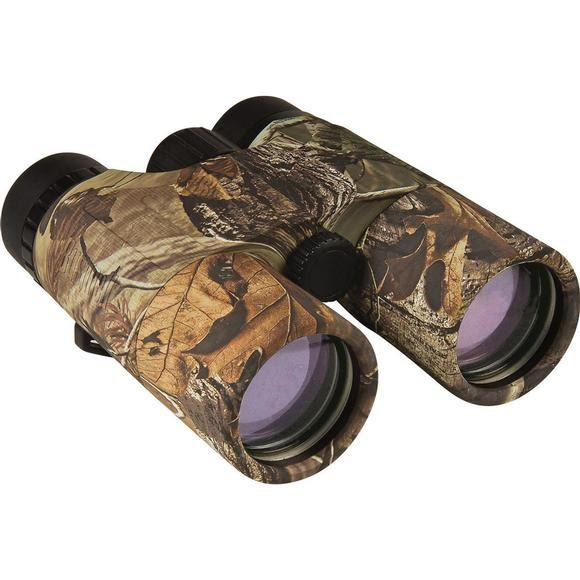 The Bushnell Explorer WP 10x42 Roof Prism Binocular features multi-coated lenses for better light transmission, and twist-up eyecups so they are easy to use with or without glasses. Products are O-ring sealed and nitrogen purged for total waterproof and fogproof protection. These models can withstand complete immersion in water and stay dry inside. The interior optical surfaces won`t fog due to rapid temperature change or humidity. Multi-Coated optics provide superior light transmission and brightness. Realtree AP camo is neutral, open, contrasty, and realistic. Everything a hunting camo needs to be - versatile and effective. The pattern also stands up to the real-life effects of nature. For more information about, Bushnell Explorer HD 10x42 RTAP Roof Prism WP Binocular RealTree website.